You make a plan and you’re committed. But you have nagging doubts that you can accomplish your weight loss goals. And of course, you do! You’ve never done this before, and you have no evidence that you can do it. You’re thinking, I’ll believe it when I see it. So how can you move forward and get where you want to go if you don’t believe in yourself? You create the beliefs you want to have. And then you practice the heck out of them. Yes, you can choose what you believe. I know your current beliefs feel right. They feel like the truth. So even if they give you some not-so-great feelings, you assume they are just the truth. 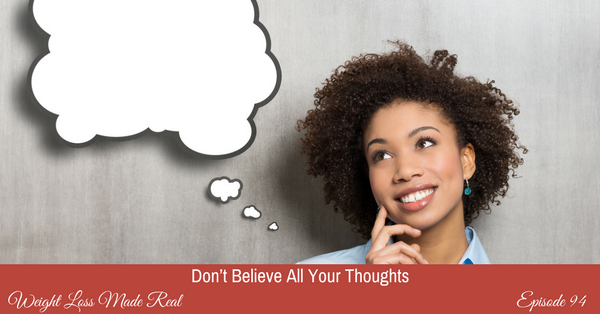 Here’s the scoop: your beliefs are simply thoughts. Stories in your mind. And you’ve given these thoughts so much attention, and so much emotion, that over time, they become very strong. And very accessible. And eventually, they simply feel true to you. The good news is that even your long-held beliefs can be examined and replaced with beliefs that are more congruent with you, your life, and your desires. So, let’s get to work on uncovering and shining the light on those beliefs of yours. The ones that stop you in your tracks every time you try to break out of your old patterns. And then, you get to choose. See you in the coaching session! We are very proud and grateful to be featured in the Top 30 Women Podcasts. Thank you! Join my free Facebook group where we will discuss and learn the concepts taught on my podcasts on a deeper level. Join the group here. The Freedom Group – Here’s How You Can Work With Me! Do you struggle to lose weight or stop eating emotionally? If you do, click here to learn how The Freedom Group can help. The Freedom Group is a comprehensive, structured coaching program with me as your coach and a group of like-minded women who will help you reach your goals. We use my unique EAT, THINK, LOVE program to help you lose weight, change how you eat, and lose the whole problem! Enrollment will open soon, so get on the waiting list and be the first to know when we’re accepting new members. This is a monthly membership and you can stay as long as you wish. I’d love to work with you in the Freedom Group. The Weight Loss Made Real Podcast Study Guide was created to support you on your weight loss journey. If you enjoy my podcast and want help taking what you hear and putting it into real life action, you’ll love this workbook! Easy-to-read summaries of all the main, most important concepts from each podcast episode. Room for you to take notes that are relevant to you and your life, right there alongside the summary notes. A direct link to each episode for your reference and so you can easily listen while you read the summaries. An action step for each episode, plus links to additional resources mentioned are embedded right into the notes so you can easily access them, if desired… and much more! Get all the details and purchase your copy today. Finally, I’d so appreciate it if you would leave me an honest rating and review on iTunes at https://realweightlossrealwomen.com/itunes. It will help the show and its ranking in iTunes a lot! Here’s how to rate and review on iTunes: https://realweightlossrealwomen.com/rate. Thank you and enjoy the show! You are always in charge of your eating. Whether your choice is to eat or not eat. How much you choose to eat. And, of course, what you eat. Being in charge gives us a sense of freedom. It takes away the need to struggle. No need to call upon willpower. You don’t have to be ‘good’. Because you are not forcing yourself to follow some external rules. You are simply in charge and are following the guidelines of your body. And give it what it wants. But, as soon as you begin to tell yourself to ‘be good’, or to ‘be careful’, or to not have something so you can lose weight as fast as possible, you will begin to rebel. You will feel like you are being deprived. That there is some restriction on what you can and cannot eat. And that you are no longer in charge. And that, my friend, is the kiss of death to eating like a naturally slim person. When you make up rules for yourself, or you follow someone else’s rules for your body, you will want to rebel against the rules and eat with abandon. 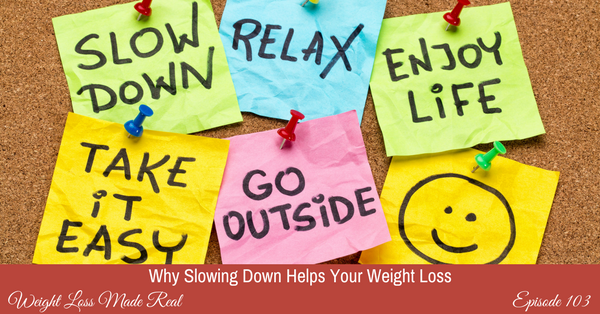 Your brilliant brain will respond to restriction and deprivation with overindulgence. It’s just a little thing called survival. And we’re all wired for it. Your brain is just doing what it’s supposed to do. Stop telling yourself that you have to eat or not eat something. Instead, you are choosing to eat or not eat something because you want to, and because you think it will feel good and right in your body. Not because you have to. And you are not in survival mode. Be relaxed as you make your choices. And teach your brain that is wired for survival that you are just fine, thank you. You don’t need to overdo anything because you are always able to get what you need. And having choices is what freedom feels like. Does your scale frustrate you? Does getting on the scale sometimes give you a great day, and then you go celebrate with extra treats? Or maybe it gives you a bad day, and then you attempt to cheer yourself up with extra food your body isn’t hungry for. Either way, it feels like you are giving your scale too much power in your life. Who wants to be told whether to be miserable or joyful based on a number on a piece of plastic and metal? Yet, you do want some way to set goals, and then measure your progress toward them. 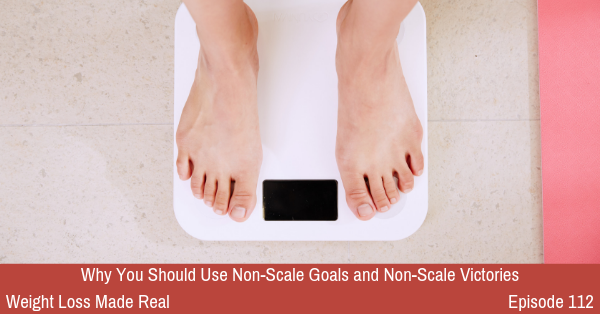 What are non-scale goals and non-scale victories? Why you might want to consider divorcing your scale. Understand the appeal of the scale and the numbers. What might change for you with non-scale goals and victories. How to use different goals and checkpoints along the way to measure your progress on your weight loss journey. The best way to stay motivated in your quest to eat naturally and drop your extra weight. Some of the amazing benefits you will get as your eating normalizes, that have nothing to do with the number on the scale. And, how your focus on the number of pounds on your body can negate any progress you’ve made. Please join me as we dive into the scale and its alternatives. How do you operate? I mean, in your life. Do you rush through everything, trying to get to the end of your ‘to do’ list? Do you pause to smell the roses? And if you do rush through, at 1.5 speed, how is that working for you? How is it working when you are trying to change how you eat, how you do things, how you deal with challenges? My guess is that it doesn’t work. I’ve learned the hard way that leaving no time and no space in my schedule doesn’t give me the results I want. Actually, it tends to give me the opposite of what I want. There needs to be some time and space in your life. To think. This is critical, especially in areas where you want to make changes. So, you may continue to run at 1.5 speed, and then beat yourself up, because, guess what? Those changes you want to make? They aren’t happening. Here’s the deal, my friend. You can do it all and you can have it all. But not all at once. And you need to slow down in order to think. And that is how you create change in your life. Join me and let’s deal with all the reasons you’re already thinking that you can’t possibly slow down. The Weight Loss Made Real Podcast Study Guide was created to support you on your weight loss journey. Collection 1: Episodes 1 – 52 contains these great features: easy-to-read summaries of all the main, most important concepts from each podcast episode, room for you to take notes that are relevant to you and your life, right there alongside the summary notes, a direct link to each episode for your reference and so you can easily listen while you read the summaries, an action step for each episode, links to additional resources mentioned are embedded right into the notes so you can easily access them, if desired… and much more! Do you struggle to lose weight or stop eating emotionally? If you do, click here to learn how The Freedom Group can help. The Freedom Group is a coaching program with me as your coach and a group of like-minded women who will help you reach your goals. We use my unique EAT, THINK, LOVE program. Enrollment will open soon, so get on the waiting list and be the first to know when we’re accepting new members. 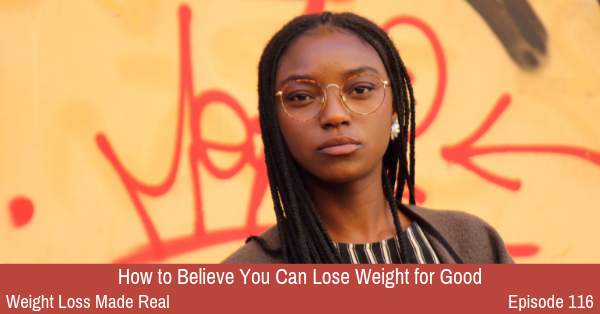 I’d so appreciate it if you would leave me an honest rating and review on iTunes at https://realweightlossrealwomen.com/itunes. It will help the show and its ranking in iTunes a lot! How to rate and review on iTunes: https://realweightlossrealwomen.com/rate. Thank you and enjoy the show! Wait a minute – you shouldn’t believe everything you think? Aren’t your thoughts true? They sure seem to be the truth. Where do your thoughts even come from? What happens if you question your thoughts? And while we’re at it, what’s the difference between a thought, a belief, and a feeling? We make a lot of assumptions every day – about our thoughts, our beliefs, our feelings, and our reality. There is so much going on in your mind – all the time – that’s true. But you have the power to choose which thoughts to pay attention to. And what you choose affects your reality. But how do you choose? Today we’ll talk about where your thoughts come from, how to know which ones to believe, and how to take back your power over them. Listen to this coaching session to learn how your thoughts create your reality. Then use that knowledge to start creating an even better life for yourself – one thought at a time. Do you struggle to lose weight or stop eating emotionally? If you do, click here to learn how The Freedom Group can help. The Freedom Group is a coaching program with me as your coach and a group of like-minded women who will help you reach your goals. Enrollment opens four times a year, so get on the waiting list and be the first to know when we’re accepting new members. Coming very soon will be a listener contest for 5 copies of my new upcoming podcast study guide. This guide will help you treat these podcasts like a course, where you can take notes and have my personal notes for each episode, with action steps to get the most out of them. I am developing two new products especially for you: a Podcast Study Guide and a complete Weight Loss Made Real Home Study Program. If you would like to be notified when they are available, please click here and join the waiting list. 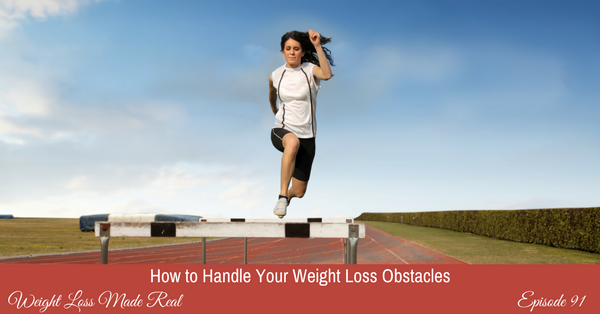 When you undertake any goal, especially a big one like changing the way you eat to lose your extra weight, you’re bound to run into obstacles. And, you’ll also run into excuses. Whatever you run into, how you view these roadblocks will either help you figure things out, or give up. Of course, you don’t want to give up, right? So, let’s see the difference between your excuses, which keep you stuck, and the obstacles you face, which inspire you to find a way around them. And, we’ll talk about the idea of using a role model who’s doing what you’d love to be doing, to inspire you. Do you look at other women who can get themselves to do what you can’t, and wonder what the difference between you really is? It’s the difference between the way they think, and the way you think. Instead of looking at others and feeling envy, let me show you how to be inspired and motivated into action when you see others a few steps ahead of you. Let’s do this. No more stopping and giving up. Let’s figure out how to turn your excuses into obstacles that you can figure out and overcome. Join me for this coaching session that will help you move ahead in your weight loss journey. Episode 90: What Are Your Weight Loss Expectations? When you set an important goal, like changing how you eat and learning to eat naturally, what do you expect? What do you expect to happen? And how do you expect things to go? If you’ve tried and failed at changing your mind and your body, odds are good that you haven’t managed your expectations. Your expectations about how hard or how easy it might be. Expectations about how you will handle slips. And expectations about your abilities to literally change your mind. I believe that managing your expectations at the beginning of a life-changing journey can make or break your end results. And today, I’d like to coach you through taking a look at the expectations you have and show you how to edit those expectations so they work for you, and not against you. 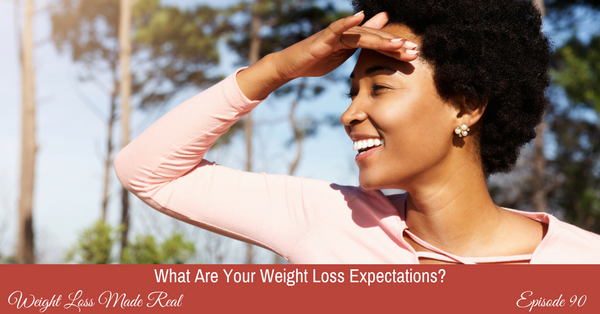 Join me as we talk about your expectations in the world of weight loss. Comments Off on Episode 90: What Are Your Weight Loss Expectations? You’re trying to make changes in your life. In how you eat. How you live. And basically, how you show up in this world. I understand. I’ve been there myself. And reading about time management (and trying to apply what I read) is one of my favorite pastimes. So how do you do it? How do you find or make time for what is most important to you? 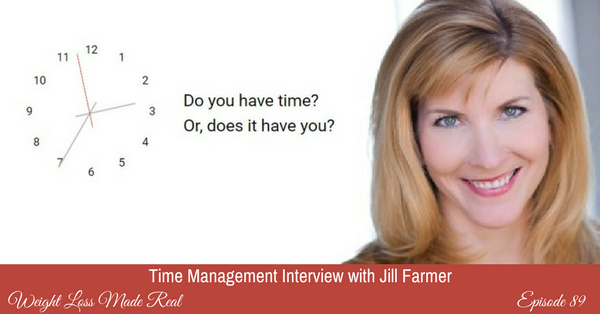 Join me and my guest, Jill Farmer, author of ‘There’s Not Enough Time… and Other Lies We Tell Ourselves’. What’s the most common complaint Jill hears from her clients? 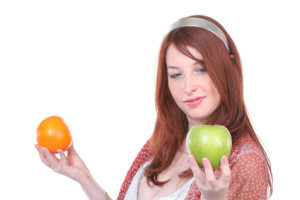 Should we look at making a lifestyle change, like losing weight as a ‘to do’, or as a project? Why is planning ahead important and how do you get yourself to do it? How does perfectionism fit into how we manage our time? Why is it so important to be able to say ‘no’? And, what’s the biggest mistake people make when they are making a list of things to do? I want to help you change, and change is made of up lots of actions and details. Join me in this interview so you can learn to manage yourself better as you change. 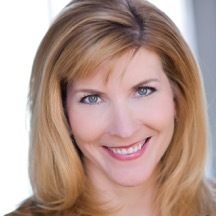 Jill Farmer is the author of “There’s Not Enough Time… and Other Lies We Tell Ourselves” which debuted as a bestseller in the Time Management category on Amazon. In 2015, The Washington Post named Jill to its 21-Day Time Hacker team as one of the top time experts in the country. Jill travels the U.S. delivering keynotes and teaching her acclaimed program for some of the top corporations and organizations in the world. In addition to being a master certified life coach practicing since 2010, Jill Farmer is a wife and the mother of two daughters. For more than a decade, she was an Emmy Award winning consumer reporter and television anchor in St. Louis. Jill is also the unsuccessful herder of the two worst-behaved dogs in the universe. Visit Jill’s website here and learn more about her Light Your Fire Retreat here. Let me guess. Sometimes, it’s hard for you to stop eating. If something tastes good, your meal may extend way after dinner has ended. And you find it hard to declare an official stopping point. Well, this is exactly what I’m going to help you with today. Once you determine that you’re hungry, and you start eating, the next step is knowing exactly how to stop. We’ve talked several times about recognizing your fullness and knowing when to stop. What I’m talking about here is the actions you can take to declare the meal over, and move into the next part of your day or night. 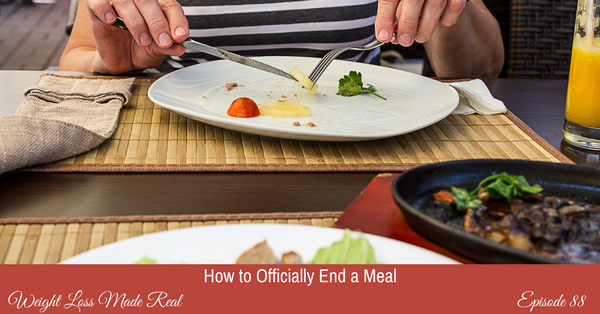 Join me in this session and learn how to put closure on any meal. Episode 85: How to be Your Own Weight Loss Guru and Why You Should! And here’s what I think when my group members say this: I am not your guru. 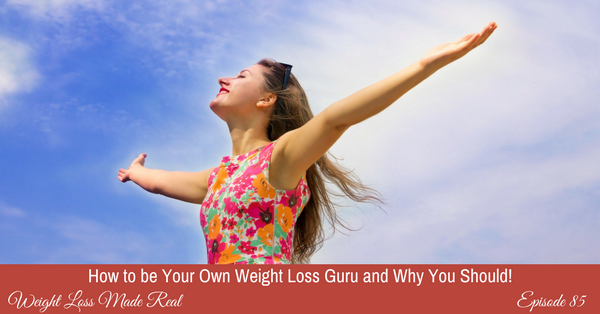 You are your guru, and you could be amazing at knowing exactly what do to and how to eat if you would stop looking outside of yourself. You know yourself better than anyone. And that includes me. Yet you’re confused about what to do and how to do it. I understand. I think your goal should be to learn how to think about your challenge, and not just look for someone, anyone, to tell you what to do and how to do it. Do you want to stop being at the mercy of all the gurus out there? Then join me in this coaching session. We’ll talk all about gurus and why they are so appealing. And then I will show you why you need to be your own guru and how to begin to do exactly that. Are you curious about a group that empowers you to be your own, confident, knowing guru? Click here to read about the Freedom Group. If overeating or emotional eating is your thing, this group will empower you to learn to take care of yourself, learn how you should be eating for your particular body, and learn to manage your thoughts and emotions. This group only opens three times a year, so be sure to take a look now. Comments Off on Episode 85: How to be Your Own Weight Loss Guru and Why You Should! Enter your email address and click the button below, then check your inbox to confirm.